This post is sponsored by Kohl’s. I was paid for this post and received the included fitness equipment as compensation. Getting fit in the New Year is a resolution that nearly everyone has had at least once in their lives. It's also a common resolution that gets broken before the Spring. When I think of why I didn't achieve my fitness goals, the number one thing that comes to mind is time management. I'm not a morning person and I am mentally drained by the time 5:00 comes around. 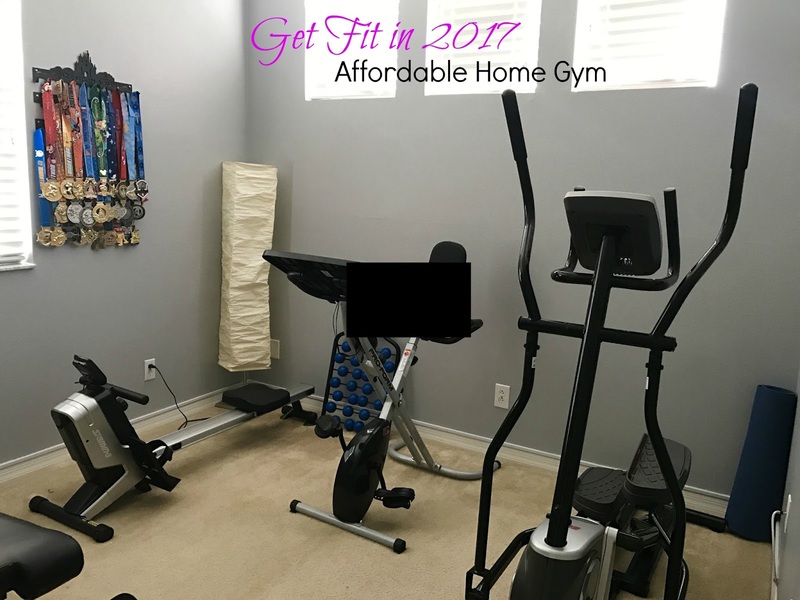 When my husband and I bought our house last summer, we had a spare room, which was going to be a second guest room or a fitness room. 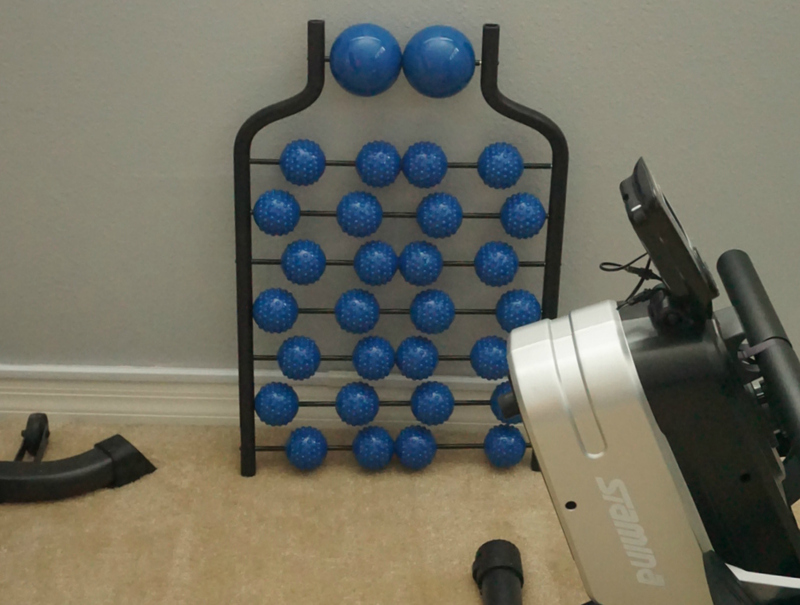 We made the decision to make it a home gym because taking up the space would help us keep motivated. You cannot make an excuse not to go to the gym when it is upstairs from where you are sitting on the couch. Kohl's helped me in making our home gym dreams come true by providing us with a few key pieces equipment. Prior to this, when I thought of Kohl's fitness, workout gear came to mind, not workout equipment. So I was pleasantly surprised when I saw all the options they sell and impressed when I saw the price points of the equipment. Today I am going to show you how to create an impressive home gym from Kohl's for well under $1,000. Starting first with my favorite piece of all - ProForm Desk X-Bike Exercise Bike which is currently on sale for $199 marked down from $249. This desk bike was designed to save space, which is the number one thing you need to look for when creating a home gym. I spend half of my work week on conference calls. Now I can put in mileage while working! The ProForm Desk X-Bike Exercise Bike has a ton of amazing features along with an Inertia-enhanced flywheel, EKG grip pulse to your heart rate, an over-sized cushion seat with vertical seat adjustment, SMR magnetic resistance and portability wheels. I love the over sized LCD display which helps me go additional miles while discussing work. The desk tray is detachable and it snaps on and off, so you can use it as a stationary bike as well. 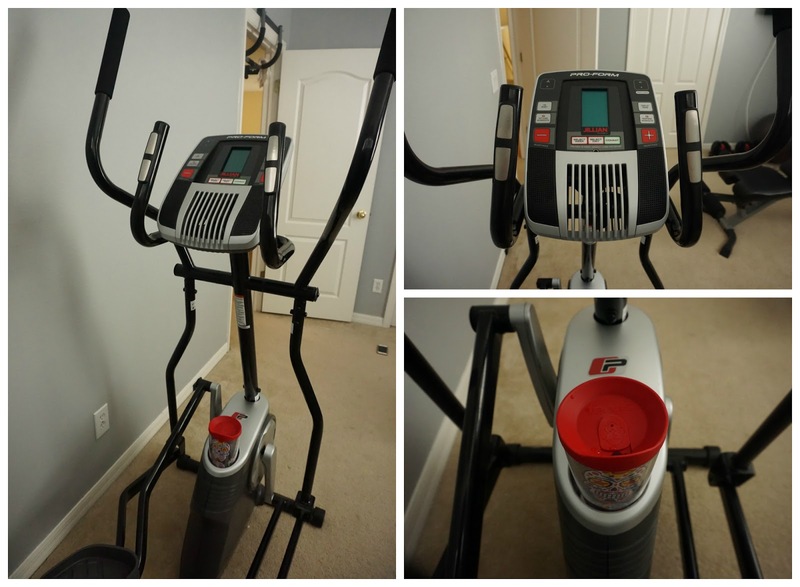 The ProFrom Easy Strider Elliptical was the piece of equipment that shocked me the most when we unpacked the box. The price point on this machine is $379.99 (normally $449.99) and I was blown away at the features. The first thing I noticed was Jillian Michaels name. She created an 8 week proven weight loss program and there are also 18 other workouts to choose from. Since I was on a cruise last week, I have not started the 8 week program yet but will be doing so tonight! There are two other things that stood out other than Jillians name. First is the CoolAire workout fan, which I love. Our condo's gym had older equipment, none of which had a fan installed in it. Now if I get too heated, I just turn up the air. It is also iPod compatible, so you can rock out to your workout with the built in speakers. This front drive machine takes up a smaller footprint in home gyms compared to rear drive elliptical's. 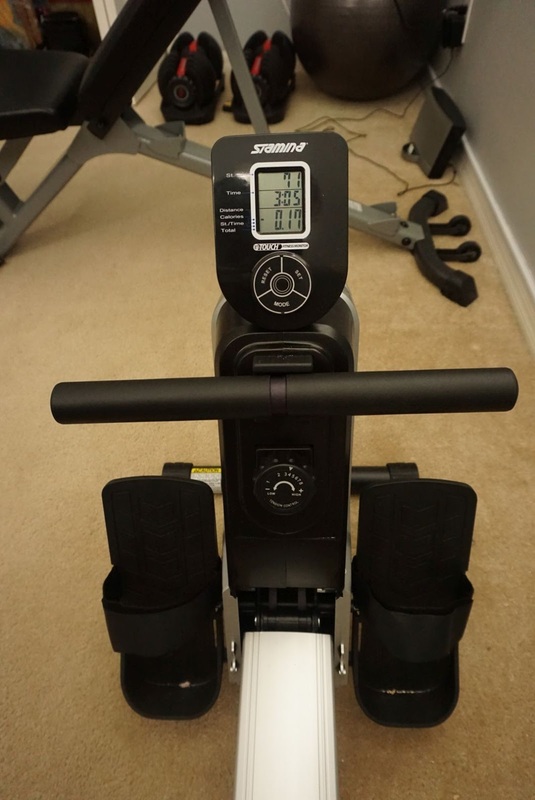 When my husband learned I would be getting a home gym from Kohl's, he became most excited over the Stamina Magnetic Rowing Machine 1110. We both started a trainer led workout which has a large amount of rowing challenges. The rower is one of the things I desperately need to get better at and now that I have this bad boy at home, I will soon excel at the gym! 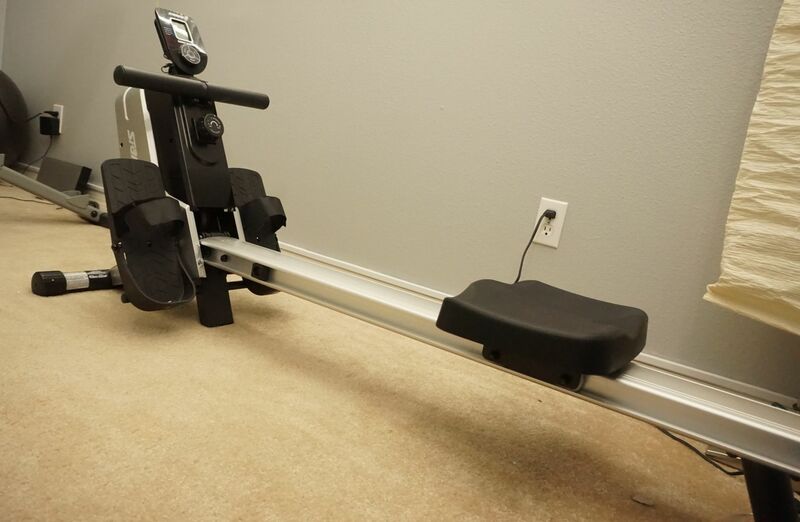 The Stamina Magnetic Rowing Machine Rower has 8 levels of adjustable magnetic resistance and a Multi-functional workout monitor that will help me reach your goal of beating my husband on the rower one day. There is a holder which can be used for drinks, cell phones, etc. The seat glides quietly and smoothly thanks to an aluminum rowing beam and ball-bearing rollers. Currently priced at $189.99 (normally $319.99) this is an amazingly affordable piece for the home gym. Last but certainly not least, what is one thing that all athletes have in common - sore strained muscles. Now don't get me wrong, I love pampering myself at the spa but I don't always have the time to spare and it get's quite costly. I was intrigued when Kohl's said they would be sending over a Stamina BackTrac Back Massager and happy to report back that this portable and lightweight massager is pretty amazing. For $99, it features 30 strategically-placed spherical elements which provide acupressure and massage therapy to your entire back. I think of it as a foam roller for my back. Many thanks to Kohl's for setting us up to getting fit in 2017!